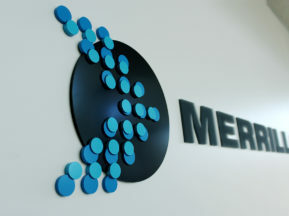 Proctor & Gamble (P&G) FemCare, originally part of P&G’s Beauty Global Business Unit (GBU), is one of the largest manufacturers of feminine products in the world. P&G repositioned the division to FemCare to more accurately represent the goals of the organization. When P&G repositioned FemCare to be part of the newly defined Global Health & Well Being GBU, it opted to renovate the FemCare headquarters to reflect the outlook of the organization and highlight the feminine spirit of the division with vibrant, feminine displays. 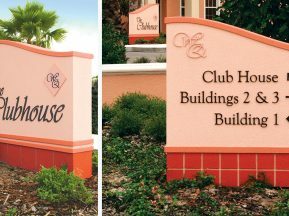 Landor & Associates developed a banner system design and turned to long-time partner ASI for assistance in developing the system specifications. 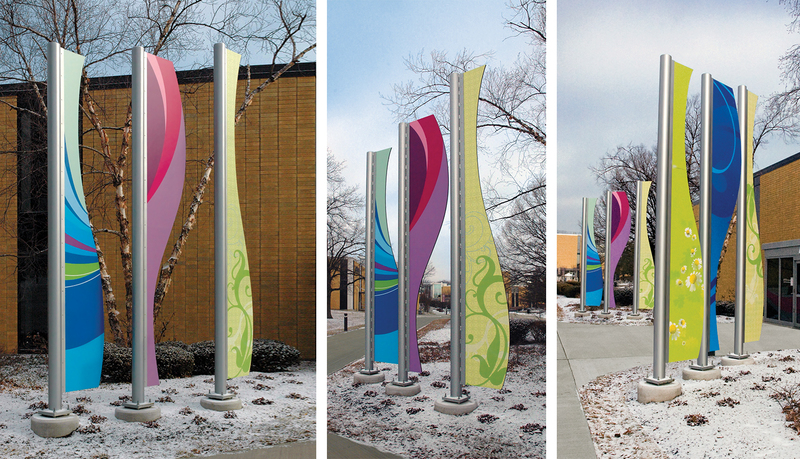 The banner system presented a unique set of challenges: the banners needed to withstand high winds, hold a curved shape, remain vibrant for a minimum of 5 years, and they needed to be installed in a very short time-frame. ASI assembled its team of trusted partners to tackle the challenges. 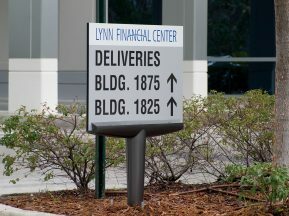 It created custom posts to which sturdy, digitally printed laminate material was mounted. 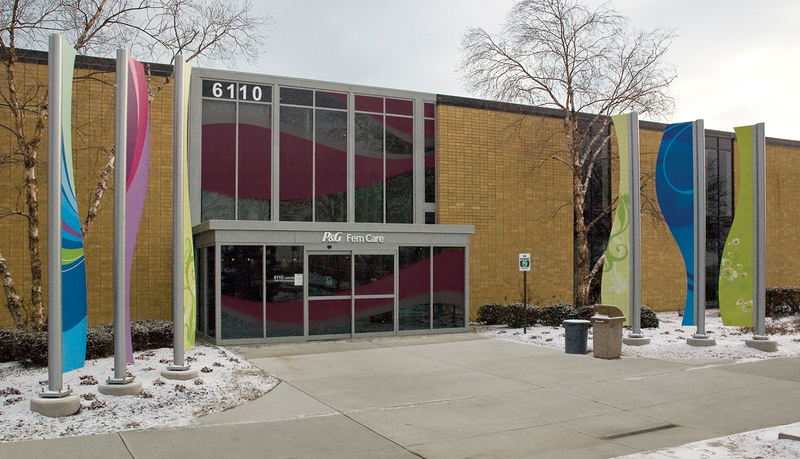 To further convey the spirit, ASI also executed Landor’s two story “dancing-ribbon” design on the glass entryway by layering raspberry and frosted vinyl. 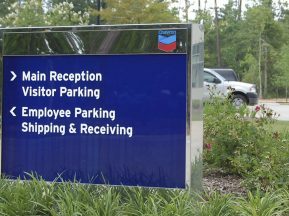 The vinyl was cut on a 40” plotter to enable seamless installation and uninterrupted flow – even across the existing mullions. 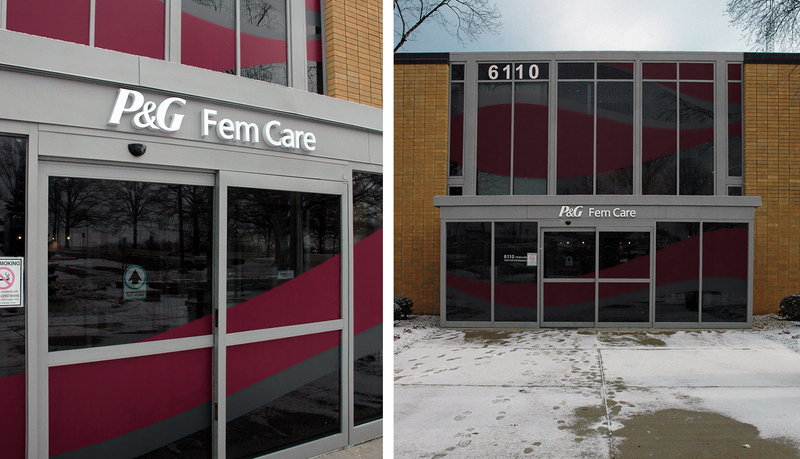 Then, to tie the theme back to P&G, ASI used fabricated aluminum dimensional letters to create the P&G FemCare logo above the entryway.